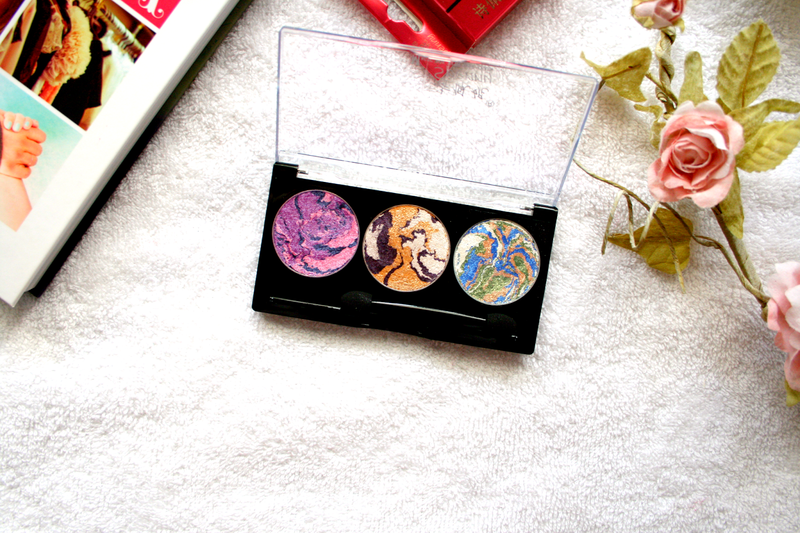 Now that it's Spring I adore adding colour back into my makeup, so when I seen this little 3D Eyeshadow Trio* from Born Pretty Store I knew it would be perfect for just that! The shadows themselves are so pretty just to even look at. Each containing 3 - 4 different colours mixed around in swirly patterns to create 3 stunning Spring ready shades. Two colours I adore wearing together are Blues and Purples as I think the colours really help complement the colour of my eyes, plus the colours just look really pretty together! 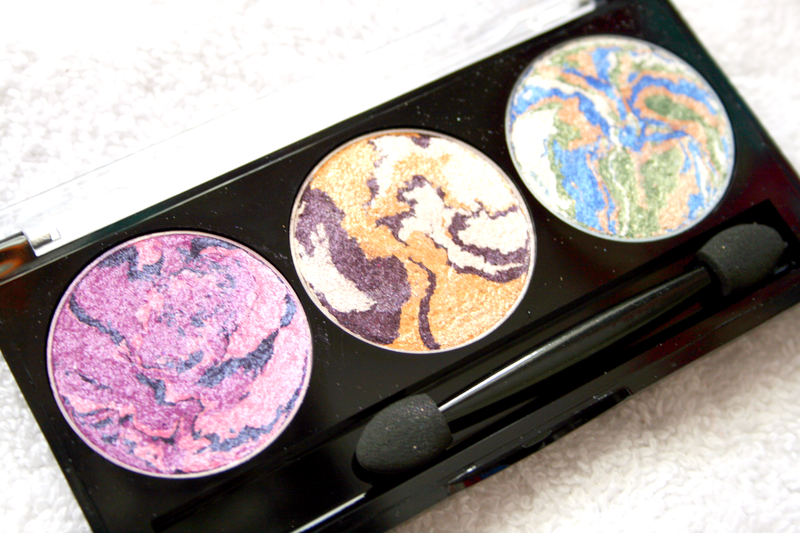 You could use the colours separately and get 2 - 3 shades out of every single shadow pan or if you're like me just swirl it all around together. These shadows are very glimmery so I would recommend blending a matte shade into the crease to just tone the shimmer down a little or if you're all about the glitter then go cray! The purple shade has to be my favourite just because I don't have a purple like this, it's just the perfect inbetween mix of lilac and purple. I didn't use a base with these products in the photo below as when I took the photo everything on my face was products I had never used that I was testing. However since then I have worn this palette using my NYX Jumbo Pencil in Milk just to help them really pop. They also lasted really well without a base and with one and didn't crease or disappear. 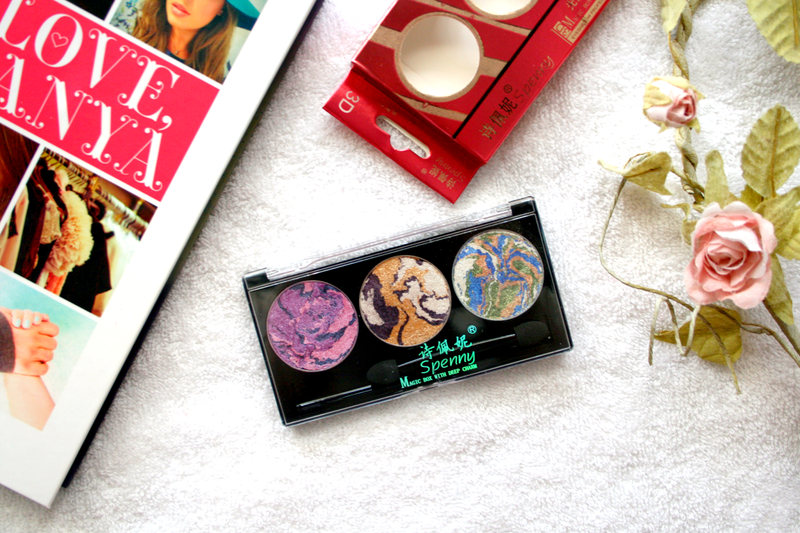 Definitely one to try out if you want to add a bit of colour to your makeup during Spring/Summer. The best part is it's currently reduced from €9.77 to €5.96 which is such a great price! If you're interested in finding out more you can do so here. 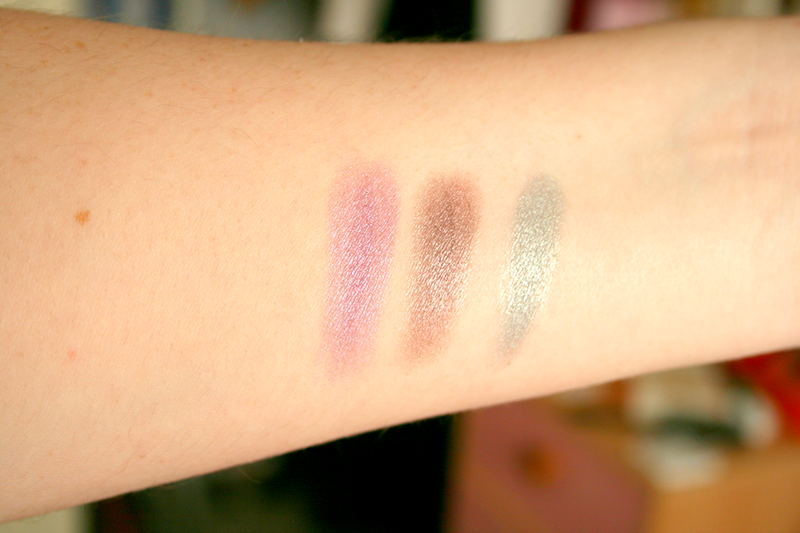 The shadows come in a various amount of shades so there is something for everyone, the one I have pictured is palette #3. 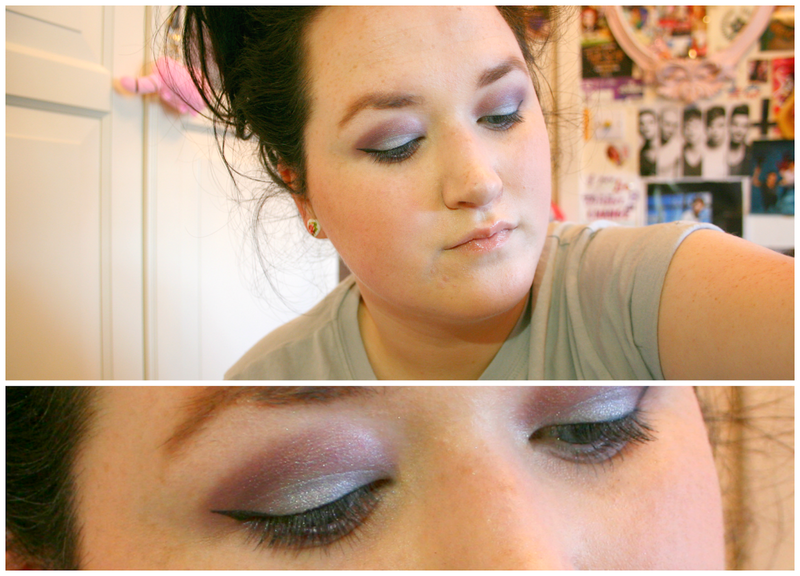 On my eyes I just have the blue on my lid and the purple shade through my crease. Have you tried any products from Born Pretty Store?